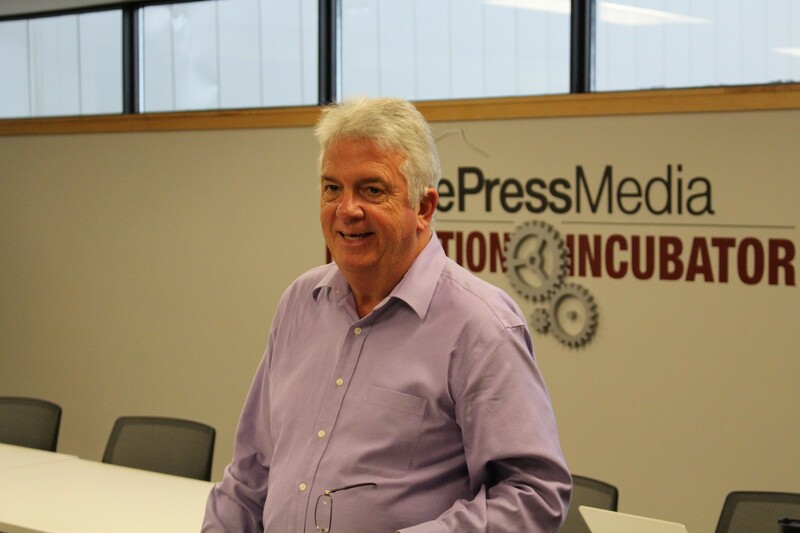 Planning is underway for a goodbye party: Burlington Free Press executive editor Michael Townsend and veteran news reporter Michael Donoghue have accepted a corporate buyout and will retire at the end of the month. Three other longtime employees outside the newsroom will also leave Vermont's largest daily newspaper under the deal the Gannett Corporation offered across the chain to employees who are at least 55-years-old and have 15 years of service as of October 12. The Gannett buyout, targeting higher-paid employees, is the latest cost-cutting effort by the national media company, which has slashed its workforce during the last 10 years. Will the shrinking news staff in Burlington shrink some more? In Burlington, all five positions will be filled, including the executive editor slot, according to Free Press Media president and publisher Al Getler. It's too early to say who will take over as the top editor, he said. “It's too important a presence for the state of Vermont to not do a thorough search," Getler said. "It's going to take some time." With Donoghue's retirement, the Free Press loses one of its most enduring and popular bylines. The 65-year-old draws among the most web hits of any reporter at the paper and has filed thousands of stories since he started as a part-time sports reporter at the paper in 1968, when he was an 18-year-old high school senior. He continued writing in college and after, for nearly 50 years, with bylines about crime, police and state government, often using public records. Earlier this year Donoghue won an award from the Vermont Press Association for his lifetime commitment to the First Amendment and the Public's Right To Know. Leaving the Free Press and daily journalism is bittersweet, Donoghue said Friday. "It’s a profession where you start fresh almost every single day. You wipe the slate clean, and you start over. It's a great job. This may sound corny, but I've enjoyed coming to work every single day." He was going to retire soon, and the buy-out offer hurried the decision. "It's generous in the sense it's one year full pay, full benefits," Donoghue said. The Free Press announced the news Friday afternoon on the newspaper's website. Three other employees accepted the package, all with 26 years or more at the paper: automotive sales rep Tom Powers; Buyers Digest sales rep Annette Letourneau; and IT support analyst Skip Bennett. Townsend has worked at the Free Press for 14 years and spent 40 years in journalism. In the Free Press story about the buyout, he said the company's offer was a going-away gift he couldn't turn down. Donoghue said from time to time he's disagreed with Gannett corporate decisions, but is grateful to the company for supporting the First Amendment and paying lawyers to protect his sources. Donoghue said he was subpoenaed often during his career, usually by prosecutors or defense attorneys who wanted to know his sources. "I've had 18 subpoenas. They’ve always presented legal representation for me. I've never had to testify when people wanted my sources." Donoghue, a South Burlington resident, says he will continue to teach journalism at St. Michael's College and possibly pursue other work around his passion for First Amendment reporting. An earlier version of this post incorrectly stated Donoghue's age when he started at the Free Press and the length of his tenure. Note: Molly Walsh was a reporter at the Free Press from 1987 to February 2015.